Die Nanostart-Beteiligung ItN Nanovation AG wird im Rahmen eines Großprojektes erstmals in Deutschland eine kommunale Kläranlage mit CFM-Systems Modulen bestücken. Damit gelingt es dem Unternehmen, ein wichtiges, großvolumiges Referenzprojekt zu realisieren, mit dem die technologische und ökonomische Überlegenheit keramischer Flachfiltermembrane bei der Wasserfiltration erneut gezeigt werden kann. 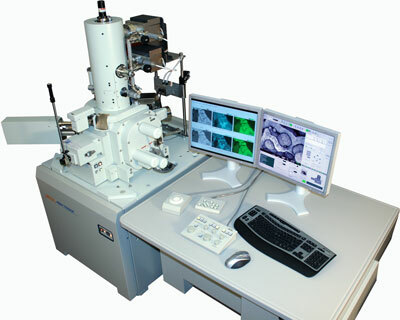 JEOL, a leading supplier of electron microscopes for ultrahigh resolution imaging and analysis, will demonstrate its new ultrahigh resolution, analytical Thermal Field Emission Scanning Electron Microscope, the JSM-7600F, via live remote viewing and control from Semicon West, San Francisco, July 14-16. Microfluidics and Particle Sciences Inc. have formed a strategic alliance to help biopharmaceutical companies leverage the most advanced and reliable nanotechnology and formulation methods available to develop, analyze and commercialize Active Pharmaceutical Ingredients. Keithley Instruments, Inc., a world leader in advanced electrical test instruments and systems, has sponsored the premier issue of Project TEST, in cooperation with Electronic Products magazine and the Hearst Electronics Group. Micron Technology, Inc. today announced mass production of new NAND flash memory products using its award-winning 34-nanometer process technology. Nova Measuring Instruments Ltd., provider of leading edge stand-alone metrology and the market leader of integrated metrology solutions to the semiconductor process control market, received a multiple tool order for its integrated NovaScan metrology solution for measurement of Copper line thickness by a leading foundry. Semiconductor Manufacturing International Corporation today announced the successful completion of its first 45-nanometer high performance (GP, generic process with high performance) yield lot. QD Soleil, die Solartochter der Nanostart-Beteiligung Nanosys, hat mitgeteilt, dass sie ihr Führungs- und Beratungsteam erweitert. Dies umfasst vier außergewöhnliche Vordenker zur Nutzung von Nanotechnologie für solare Anwendungen. Momentum Biosciences, LLC and Kolon Global Technologies, Inc a division of the Kolon (Korea Nylon) Group are pleased to announce joint completion of $550,000 in seed funding for Fibron Technologies, Inc. in the form of a convertible note. Omodo is in negotiations with agents in the USA and the Far East to expand its network of Zelfo material representation in both North America and Japan. Synopsys, Inc., a world leader in software and IP for semiconductor design, verification and manufacturing, today announced that Aquantia, the leading innovator in 10GBASE-T networking, has deployed Synopsys' recently announced IC Validator, the newest addition to the Galaxy Implementation Platform, into production use at 40 nanometers. Carl Zeiss will launch a new product line for high resolution microscopy this year. Thanks to the combination of two techniques in ZEISS microscopes - HR-SIM (High Resolution Structured Illumination Microscopy) and PAL-M (Photoactivated Localization Microscopy) - biomedical scientists are able to examine objects at maximum resolution. Pioneering the European electronics industry?s efforts for sustainable manufacturing of semiconductors, Linde Gases, a division of The Linde Group, has installed Europe's first CE-marked on-site electronics grade fluorine (F2) generator at STMicroelectronics' Crolles 300mm wafer fabrication plant in France. The global market for nanoelectronics is expected to reach $409.6 billion by 2015, as stated by a new market research report. The Supervisory Council has approved RUSNANO participation in setting up the production of abrasive resistant parts using nano-structured ceramic and metal-ceramic materials. The project was initiated by Virial LLC, one of the Russian market leaders in abrasive resistant ceramic and metal ceramic parts and units for oil production, refinery and chemical industries. Applied Materials, Inc. today expressed strong support for the U.S. House of Representatives? passage of the American Climate and Energy Security Act (ACES).